Mayrhofen is a town in the Tyrol, Austria, near Innsbruck. Ski resort par excellence, for several years is also known for Snowbombing Mayrhofen, a music event held in early April: for one week, soloists, groups, internationally renowned DJs, perform in the clubs, in the streets and in the middle of the forest. Both summer and winter tourist resort, Mayrhofen is located at the foot of the Hintertux glacier, with snow and skiing facilities 12 months a year. The main ski resorts in the area of Mayrhofen are on Penken and Ahorn mountains and are part of the Zillertal Arena ski area. In total there are over 400 km of pistes, 160 lifts, from ski-lifts to baby-lifts. The slopes, besides those on Ahorn and Penken, are also located in Horberg-Gerent and Ratogel-Eggalm. The most famous and difficult track has a name that says it all: Harakiri, with a gradient that reaches even 78%. A suicide, indeed. Snowboard's entusiasts can enjoy the Mayrhofen's Burton Park, near Penken, with downhill slopes for more than 5 KM. Lately, Mayrhofen has become even more famous after the construction of the Freiraum, a massive convention center in the Ahorn plateau. Mayrhofen has much other centers equipped for winter sports such as Vans Penken Park where important exhibitions of freestyle are held, and also very specific places to relax, as the Igloo-hotel White Lounge. The town is also known for events of global significance as the Wängl Tängl Mayrhofen during the snowboard world championship, held in Burton Park, Mayrhofen Freeski Open and the aforementioned Snowbombing. For those who appreciate more traditional sounds, there is the Klöpflsänger, with groups performing regional music. But it is skiing, the heart of Mayrhofen's economy, into a scenery of natural beauty and first-class services: from the ski lifts to the 3 or 4 star hotels providing all amenities for a family vacation as well as for lovers of winter sports. 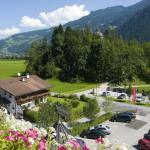 Hotel Garni Glockenstuhl is located in the centre of Mayrhofen. 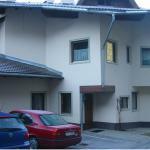 This ideal accommodation for skiers and winter sports, awaits you a short distance from the ski lifts and the ski slopes. 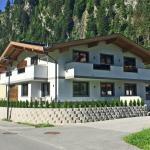 Hotel Maria Theresia, family-run, is located in a quiet residential area in Mayrhofen, right in front of the tal-Congress Europahaus. The hotel offers an underground car park.